MASKerade: RIC91, MFT CDS (2) - Happy, Happy Birthday! RIC91, MFT CDS (2) - Happy, Happy Birthday! I used my newly-arrived Label Maker Sentiments and matching Die-namics. I also used my newly arrived Stampin' Up Archival Black ink - it's really black! Along with Limelight and Summer Splash. And I added a pierced square layer for the stitching and buttonholes on the jacket. Just love the simplicity of this card. Great take on the runway inspiration. Very stylish and so clever. Wow very eye catching, love it. What a great, clean and graphic way to interpret this challenge! Great pops of colour and lots of white space. 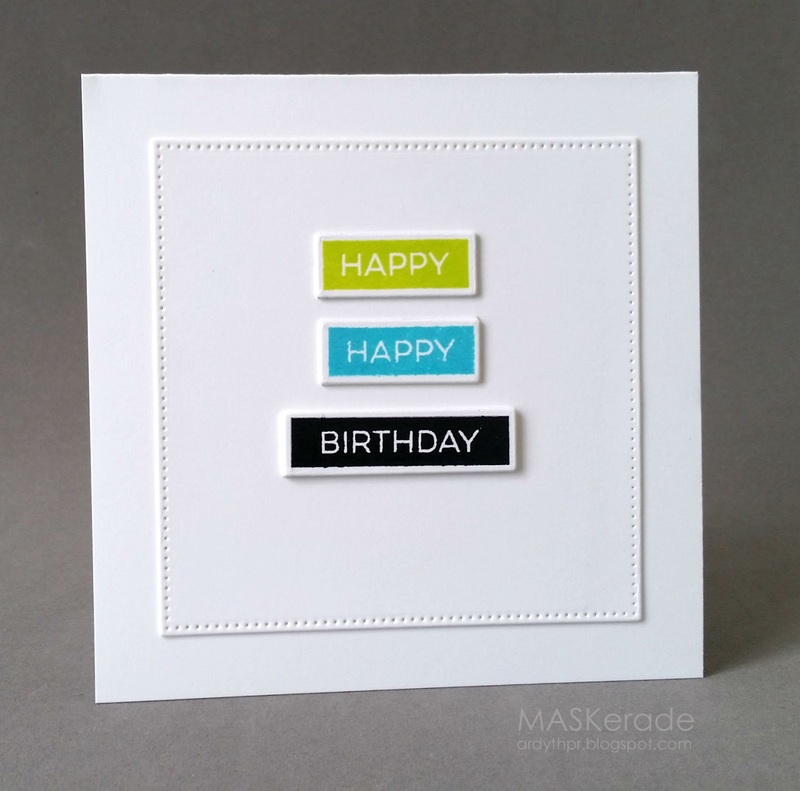 Simply stated and fabulous for the challenge! Such a cool card! Simple but brilliant - and great take on the challenge! Thanks so much for joining us on the Runway!! !